Welcome to the 2017û2018 PW/Horizons Bible study, Cloud of Witnesses: The Community of Christ in Hebrews by Melissa Bane Sevier. In nine lessons, the author invites us to explore major themes found in Hebrews, relate these themes to other parts of our faith tradition, and tie them together with the overarching motif of community. Join the hundreds of thousands of thoughtful Christians who will be sharing this study together in the coming months.áThe study was written in English and translated into Spanish by Magdalena I. Garcia, chaplain with Vitas Health Care in Chicago. 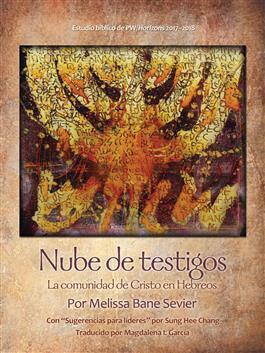 The study is also available in several other editionsùEnglish, ecumenical, large-print, video and audio. All editions and supplements, as well as other related materials (promotional poster, pendant/charm and workshop for leaders), are available. Type ""Cloud of Witnesses"" into the search box to bring up the entire list. Additional resources are published in Horizons magazine beginning with the July/August issue.